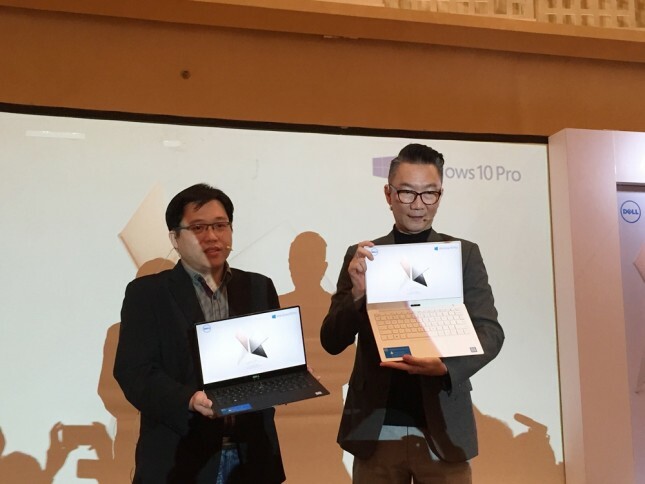 INDUSTRY.co.id - Jakarta - Technology electronics company, Dell Indonesia has just launched their latest laptop series namely Dell XPS 13 on Wednesday (30/5) at Thamrin Nine Ballroom, Jakarta. Laptop with 13-inch screen is present in an interesting color combination, rose gold color and alpine white color. Both colors are presented in the Dell XPS 13 is a glass fiber woven fabric as a choice in addition to the traditional colors of Silver and black fiber carbon interior. This laptop is also equipped with a thinner frame and cooling room that is 80 percent larger. "In addition, now more and more people are doing watching through their PC. XPS 13 brings a complete cinematic experience, with some features of Dell Cinema, "said Tjipto Suparto, Consumer Country Director of Dell Indonesia when found. Dell Cinema here, is CinemaColor featuring Hidh Dinamic Range (HDR) streaming content, CinemaSound supported Waves MaxxAudio Pro and CinemaStream technology that features Killer and SmartByte which is a software-based solution developed by Dell with Rivet Networks. Not to forget also, the display feature on the latest laptop Dell Indonesia is already using InfinityEdge 4K Ultra HD. Equipped with Windows 10 Pro and the latest 8th Generation Intel Quad Core processor, the XPS 13 delivers mobile performance with SSDs up to 1TB. This laptop also has the longest battery life up to 20 hours for FHD screen and up to 11 hours for UHD screen (based on Mobile Mark 14 comparison). "So, in addition to the size of laptops more kevil and lighter, Dell also successfully doubled the performance of this latest XPS 13, making it twice as tough as previous generations," lid Tjipto.